It was revealed today in secret documents leaked to this reporter that the US National Security Agency (NSA) is actually a division of Claus Industries, LLC, a company synonymous with its eponymous founder and CEO, Santa Claus. We caught up with Santa in a Starbucks located in the Clause Industries headquarters campus in an undisclosed location about 50 miles South of the North Pole. “You can’t build a secret facility exactly at the North Pole,” he told us over a Venti Grande. “It’s too well known a landmark.” Here, in the only Starbucks to serve Christmas Blend year-round, Santa spilled the beans on the NSA. By the time our third round of coffee was served, Santa warmed up to the topic of the NSA. Years ago, as world population rose beyond Santa’s ability to personally keep track of all of us, he first subcontracted, then eventually built his own surveillance teams. Over the last decade, dedicated Claus Industries surveillance teams have been deployed to every country around the globe, all of them posing as government spy agencies. The NSA is the United States division of Santa’s surveillance network. According to Santa, he conceived of the idea when he realized that no contemporary government holds their spy agencies accountable to their heads of state or under their law. The United States is, of course, no exception. When he selected three democratic countries in which to put his theory to the test, none of the governments involved realized that their new spy agencies were not actually legitimate governmental entities. After these successful trials, Santa directed Claus Industries to deploy surveillance teams to the rest of the world, including the team in the United States which readers now know as the National Security Agency. 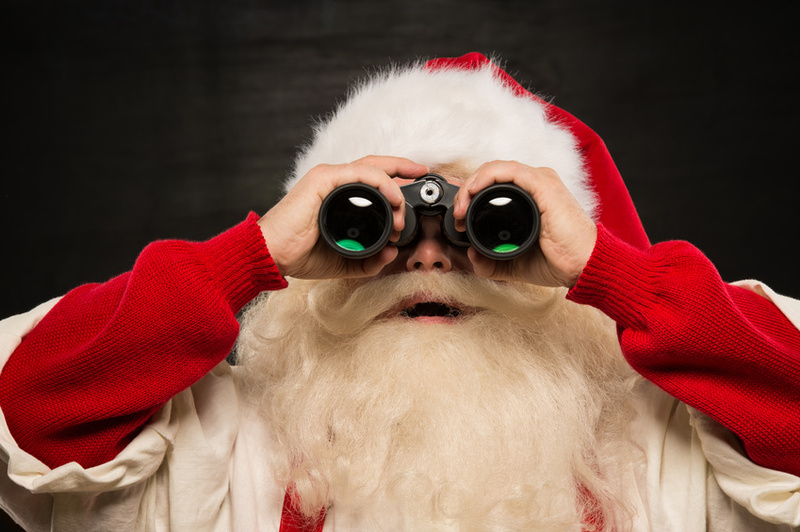 Although the NSA’s association with Claus Industries was initially kept secret, Santa claims that the US government is well aware and cooperating fully with Claus Industries in a joint operational arrangement. Anticipating that our readers would be skeptical of such a claim, Santa provided us with corroborating NSA wiretap recordings. The following is a partial transcript of the summit meeting between John Boehner and the Leader of the Free World during which they deduced the truth about the NSA. Claus Industries spokesperson Ernie Keebler (no relation to the muffin mogul of the same name) has issued a press release asking people to “please just calm down about the surveillance, we only use it for the purpose of assigning gifts.” The press release goes on to assure the public that, although Santa knows every word you speak, type, read, and even sign to a deaf friend or loved one, the information is only ever used to rank your eligibility for gifts, to accurately derive your individual preferences, to provide you with an optimal Christmas experience, to be shared with Claus Industries business partners, or to comply with legitimate government information requests. Claus Industries also maintains a strict data destruction policy carried out under supervision of on-site external auditors. All citizen data is promptly destroyed within 24 hours or less, once the statutory retention period has expired. To assure sovereignty within each of the jurisdictions in which Claus Industries operates, that retention period is governed by local copyright law. Here in the United States, copyright protection extends to a period of life plus 70 years. Your heirs can rest assured that all your data collected by the NSA will be deleted within 24 hours of the 70th anniversary of your death, in accordance with US law. The NSA surveillance system is designed with a number of checks and balances to ensure that the snooping capabilities and vast database are not misused, including extensive real-time auditing. Teams comprised of at least one government auditor and one corporate auditor review a sampling of all data collected, based on keyword searches. Impartiality is assured by allowing the audit teams to select any keywords without restriction and according to their fields of expertise. 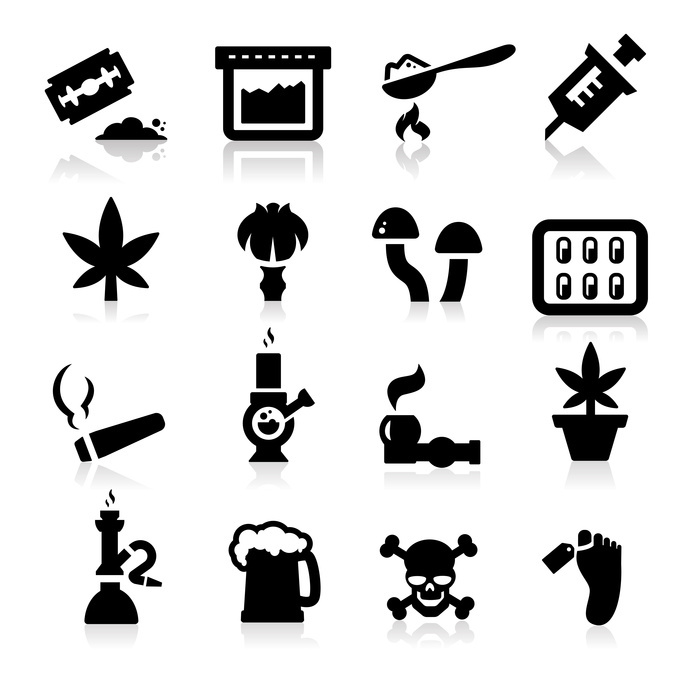 For example, auditors drawn from law enforcement frequently use keywords related to crime whereas auditors from the retail industry often select keywords related to consumer buying behavior. Nearly all auditors have some personal special interest and Claus Industries leverages this pool of specialized expertise by allowing individual auditors to specify their own keywords. This has greatly improved gift assignment accuracy with regard to wives, ex-girlfriends and naked celebrities, a population that had previously been underserved by Santa. Additional checks and balances are provided by having teams in different countries validate the work done by others. Claus Industries wishes to apologize for the confusion that occurred when routine quality control activities were interpreted incorrectly as US intelligence gathering targeted at their allies. In response, Santa sent a videotaped message to heads of state around the world. In the message he assures US allies that their state secrets were not revealed when the NSA collected and reviewed their high-level and diplomatic intercepted communications. Santa explains that elite members of government often have discerning tastes and that ubiquitous surveillance is the only method currently capable of providing an optimal Christmas experience for them. He also pointed out that the QA process is fully bi-lateral. Claus Industries QA teams in Germany and elsewhere review the data collected by the US surveillance teams. Notable among these are teams in China and Russia. Santa’s claim is no idle boast. Claus Industries technologies are pervasive in US government installations. Readers may be surprised to learn that the ubiquitous privacy enhancing technology now used by the TSA was pioneered by Kringle Labs. As implemented by Claus Industries, the elves who see you naked in the course of monitoring your naughty/nice behavior have no way to identify you personally. By the time these images are delivered to the elves who actually know who you are for purposes of assigning gifts, the display shows only a chalk outline of your body with crude representations of your genitalia drawn in with a Sharpie marker. With only minor modifications, Claus Industries was able to deploy the same system for use by the TSA in the nation’s airports. In that setting the TSA agent who deals with you personally at the checkpoint sees a body outline with objects in your pockets highlighted in red. The agents who review the full detail images are in an office away from the screening area and have no access to see the persons being screened or match them up to specific images. Due to the enhanced privacy provided by this arrangement, it is possible to use hi-definition imaging, extensive screen capture and print capabilities, and link all of this up to social media, thus greatly improving security effectiveness of the system without infringing on citizen rights. 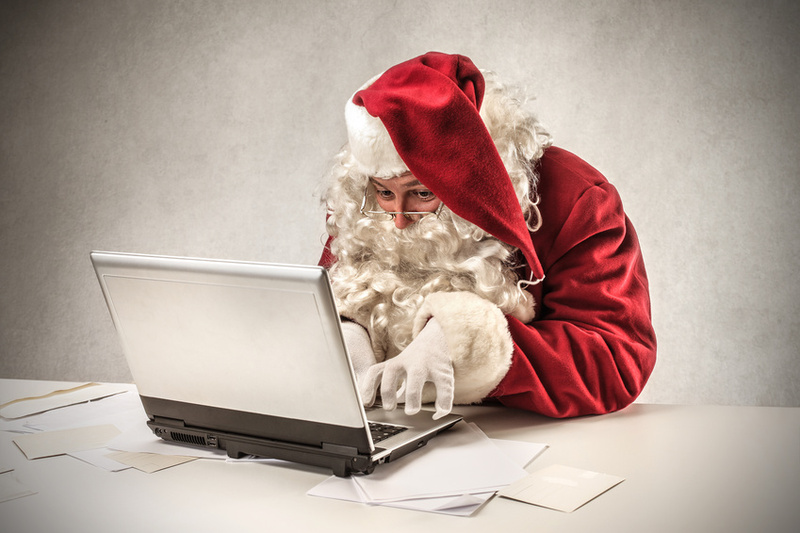 Although no details were provided, Santa said that users wishing to opt out would soon have a variety of methods to do so. All of the engineering, packaging, documentation and even training for the call center has reportedly been completed. Santa promises to deploy the new opt-out feature next month in those countries where it has already passed legal review, in plenty of time for individuals wishing to do so to opt out before Christmas. Unfortunately, the US will not be among the countries able to opt out this holiday season. Citizens in the US should be able to opt-out within two years, according to the current timetable. Kringle Labs lobbyists on Capitol Hill assure Santa that support for assisted suicide on medical grounds here in the US continues to grow. Once it becomes available to the terminally ill, Santa believes it will be very easy to extend the benefit to the “terminally hopeless,” a phrase he says is a Claus Industries insider term referring to those who do not celebrate Christmas. He hopes to have a variety of convenient opt-out choices for US citizens available in time for Christmas 2015 or, with luck, in time for the 2015 Cold and Flu season. Stunned at this revelation we asked Santa whether we had heard him correctly. Would he really kill Edward Snowden for leaking the NSA documents? “Kill him? I plan to give him a lump of coal for Christmas, you moron. This is the Arctic Circle, not Texas.” At this point, Santa produced a tablet computer of some kind, asked for the correct spelling of my name and took some notes. I pressed him further about privacy. This entry was posted in General, Global issues, Humor, Rant, Social issues and tagged advertising, Christmas, freedom, government, hacking, humor, IMHO, infosec, internet, life, marketing, NSA, power, privacy, quality, rant, Santa, security, spying, technology. Bookmark the permalink. Absolutely spot on! I suspected it was really Santa Claus who was doing all the survailence, now I have the proof and proper referrences! Glad I could help! It was about time someone blew the lid on this. My only regret is that comment about Santa’s environment suit. I’d hate to see them take the free-fall record from Felix Baumgartner because I dished on Santa.